"Out - Cleans, Out - Lasts"
GGA, Inc. is proud to bring you the line of Barbecue Innovations. Our mission is to provide barbecue tools and barbecue accessories that make using your grill a pleasure. 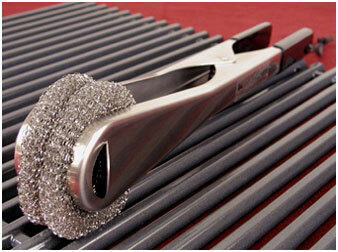 Our innovations include best in class bbq tools for grill cleaning and meat turning (barbecue hook). Copyright © 2005 GGA, Inc. creator of the patented GrillScrubber and Grill Hook.